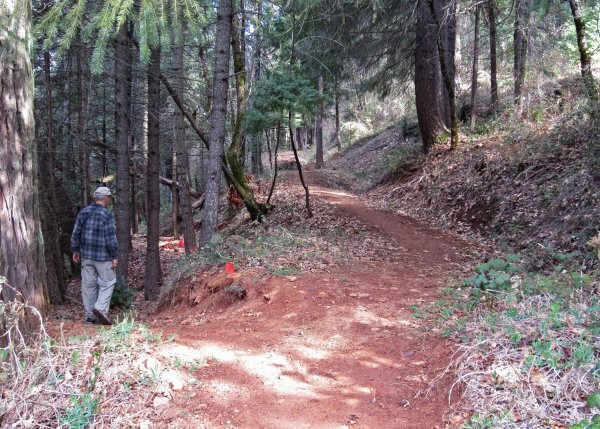 The Nevada City area has been booming with new trails connecting the town to its Deer Creek watershed. The latest major addition is the Deer Creek Environs section of the Tribute Trail — a forested 1.5 mile loop on the south side of Deer Creek where, in just a few minutes from town, you can enjoy the peace and quiet of real countryside. 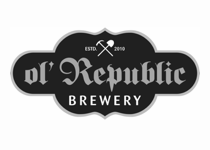 There’s a walk along the old Rough and Ready ditch, a woodsy foray downslope from the ditch, remnants of the Providence Mine, and an easy connection by foot or bicycle through a charming Gold Rush neighborhood to downtown Nevada City. The trail pays tribute to the original Nisenan people of the area. And now all this is connected to the more extensive Tribute Trail network north of Deer Creek by the new “Nisenan Tribute Bridge” — a spectacular steel suspension bridge, artfully anchored and swung across Deer Creek. 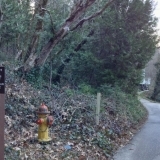 Trail signs: Direction and trailhead signs on Jordan Street; trailhead sign on Providence Mine Road. 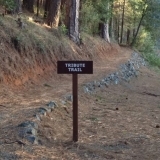 Signs refer to Tribute Trail. This is the Deer Creek Environs section. Informational signs along ditch trail pay tribute to Nisenan people of this area. 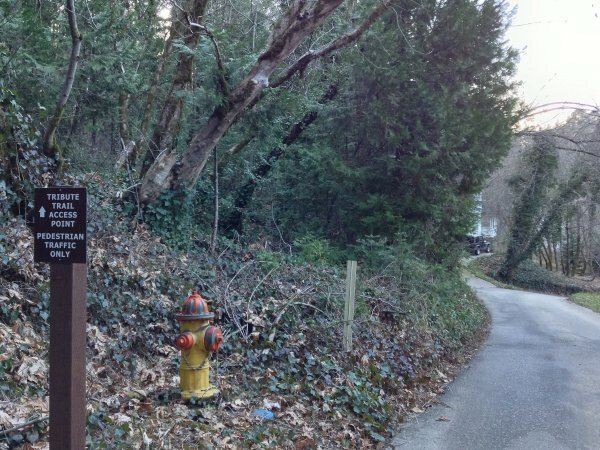 Length: Full trail loop from Jordan Street trailhead is 1.5 miles; 0.3 mile from parking. Full trail loop from Providence Mine Road trailhead is 1.25 miles; 0.4 mile from parking. Altitude change: Ditch trail nearly level; lower trail maximum drop is 185′ below ditch trail. Environment: Mixed conifer and hardwood forest on hilly terrain south of Deer Creek. Poison oak is plentiful along the trail. 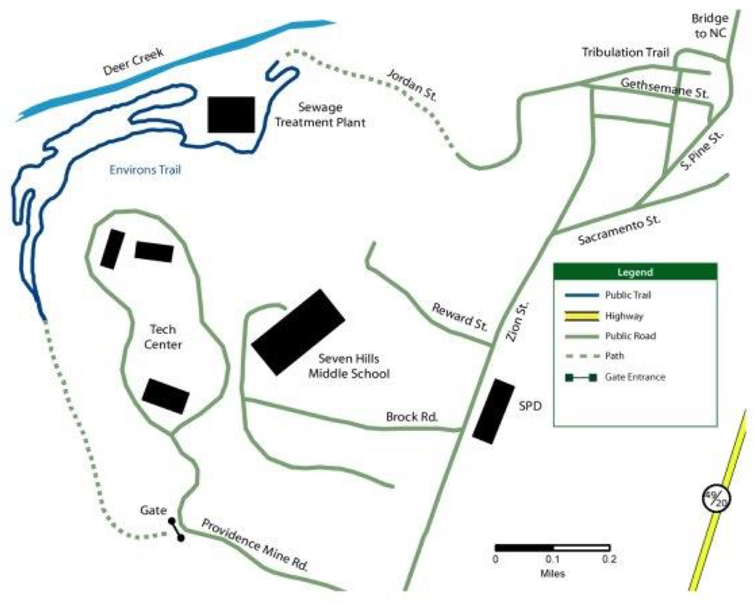 Polluted soil around old Providence Mine site. Do not disturb the soil at the mine site and be very careful of steep, possibly unstable, slopes here. 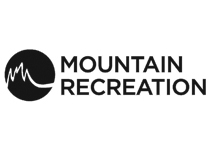 Rules: No motor vehicles or horses; stay on trails; no smoking; no camping. Dogs on leash. 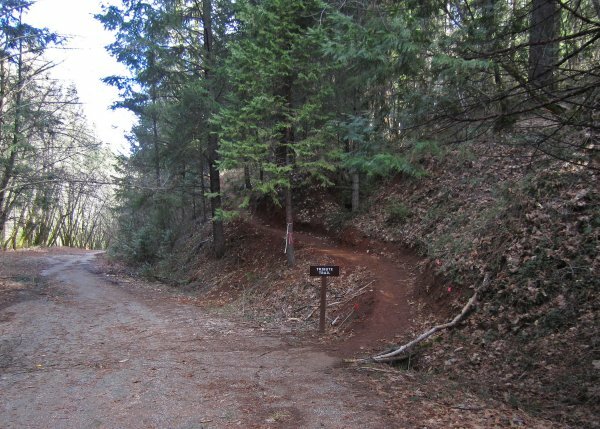 Jordan Street Trailhead by foot or bike: It is easy to walk or bicycle to this trailhead from downtown Nevada City. From the intersection of Broad and Pine streets go south on Pine Street, cross Deer Creek on the Pine Street bridge and turn right on Tribulation Trail (a narrow path on the right, just where the bridge ends). Follow this short path to its end, then veer left up a gravel road about 40 yards and go right on the first paved road you see. This is Jordan Street. Follow Jordan Street west about 0.4 mile to where the road widens for parking and there is a sign saying “No Turnaround Beyond.” Continue past this sign, keeping right to stay on Jordan Street. Go about 0.3 mile on Jordan Street. Look for signs that say “Tribute Trail Access Point – Pedestrian Traffic Only” or “Wastewater Treatment Plant.” These indicate you are going the right way. The paved road will fork near the wastewater treatment plant. Stay left at the “One Way” sign. The well-marked trailhead will be on your left about 50 yards after the “One Way” sign. 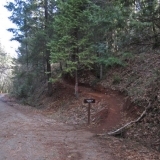 Providence Mine Road Trailhead: From the intersection of Broad and Pine streets in downtown Nevada City, take Pine Street south 0.4 mile, bear right on Sacramento Street and after about 200 yards bear left on Zion Street. Continue south on Zion Street for about ½ mile. Turn right on Providence Mine Road and go about 1/3 mile. 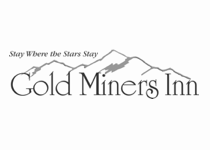 You will see a very large boulder ahead with the words “grass valley” and the corporate logo for the Grass Valley Group, the founding business of what is now the Nevada City Tech Center. This was the road to the Champion and Providence mines. The well-marked trailhead will be on your right. 0.4 mile down this road from the gate. 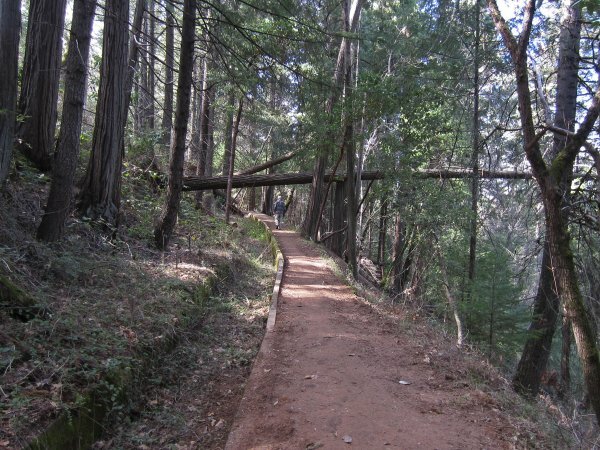 which a part of this trail follows, was built in 1850. Sixteen miles long, the ditch brought water from Deer Creek about 5 miles east of Nevada City to the mining area of Rough & Ready. 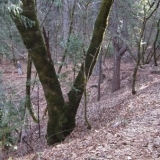 In the early 1980s, a proposed residential/commercial development in this vicinity called “Champion Trails” was proposed and defeated at the polls by Nevada City voters. During the planning process, an area labeled “Deer Creek Environs” was defined on maps as the property bounded roughly by the Newtown and Rough & Ready ditches in the Deer Creek canyon. 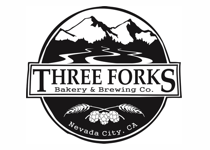 Shortly afterward, the Grass Valley Group acquired land in the vicinity from the Erickson Lumber company to build new facilities in Nevada City, and also purchased 40 acres of the Deer Creek Environs which the company donated in 1985 to the City of Nevada City as permanent, public open space land. In 2009, Sierra Streams Institute began developing the trail with grant funds from Sierra Nevada Conservancy. Sierra Streams Institute and Bear Yuba Land Trust constructed the trail with the help of many volunteers. The trail was completed in the spring of 2013. 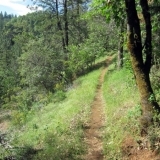 Trail tips: After short approaches from either trailhead, the heart of this trail is a 1.5 mile forested loop on the north-facing hillside above Deer Creek. 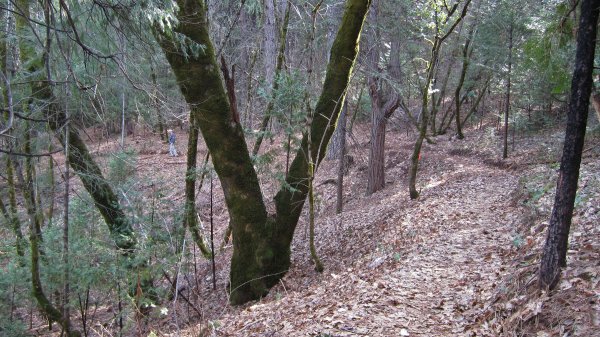 Ditch trail: The upper trail follows the dry remnants of the historic Rough & Ready mining ditch. Going west from the Jordan Street trailhead you will make a short climb up to ditch level where you will find the first of a series of interpretive signs with history of the Nisenan people. About ¼ mile along the ditch trail west of this sign you will see a trail going down to your right. This is the east end of the lower trail. Continuing past this intersection on the ditch trail, ignore a small path going off to your left. 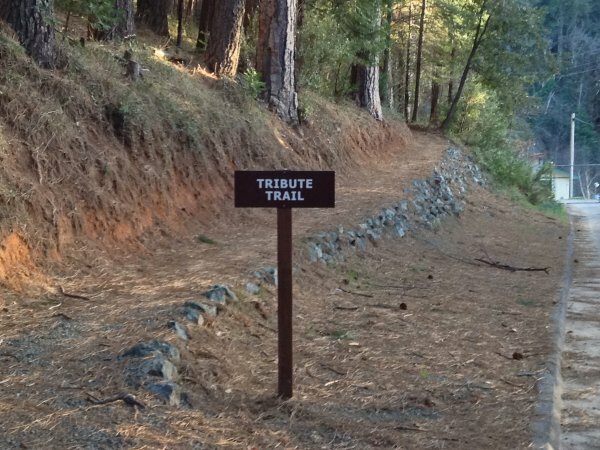 It is a “use trail” coming down from the Nevada City Tech Center area; not part of the official trail. As you go farther west along the ditch, you will see a section of ditch with a cement outer wall and, at one point, the inscription “1916” — the probable date the wall was constructed. Lower trail: The lower trail takes you on an arching route down the hillside below the ditch trail, then back up to the ditch either way you go. In the lowest half of the trail you will be in the most remote section of the loop and closest to Deer Creek. There is no direct access to the creek but, from this lowest section, you can now cross Deer Creek on the beautiful new steel suspension bridge. 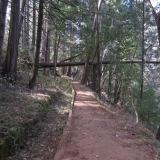 A short trail leads to the bridge from this lowest section. If you take the bridge across to the north side of Deer Creek, you will be on the original Deer Creek Tribute Trail. See the separate description on this web site. Beginning at the west end of the lower trail near the Providence Mine Road Trailhead, you will switch-back down the hillside and soon come into the most open part of the entire trail loop. Here there are views of Deer Creek Canyon and Woods Ravine beyond. Roughly ¼ mile down this trail from the ditch trail there is a nice wooden bench where you can sit and enjoy the views. About 250 yards farther east along the trail from the bench you will meet a dirt path coming in from your left. If you follow this path for about 0.1 mile you will find a pit, some concrete foundations and other features that were part of the famous Providence Mine. Continuing east on the lower trail, you will amble through thick second-growth forest with Deer Creek down to your left — audible but not visible. This entire hillside was first logged over during the mining era. There are stumps from earlier logging and, now and then, patches of periwinkle (Vinca sp.) 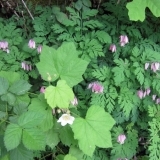 groundcover, probably left over from early mining camps or dwellings. 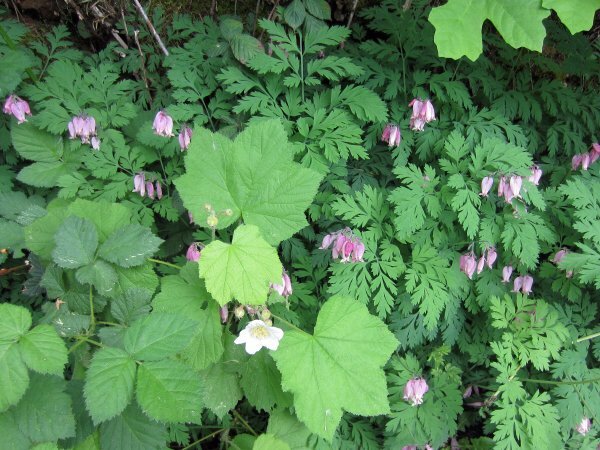 It was a favorite plant of early European settlers. 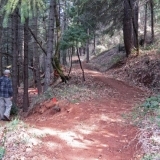 Along this lower trail, about 200 yards east of the dirt path that goes to the Providence Mine remnants, you will find the short new trail that connects the lower trail with the Nisenan Tribute Bridge over Deer Creek. Continuing east on the lower trail, you will catch glimpses of the sewer treatment plant buildings ahead and the trail will start a switchback climb back up to the ditch trail. Just below the ditch trail junction, and a bit off trail to your left, there is a wayside sign. It’s worth a quick detour to see the interesting map of native tribes and languages. 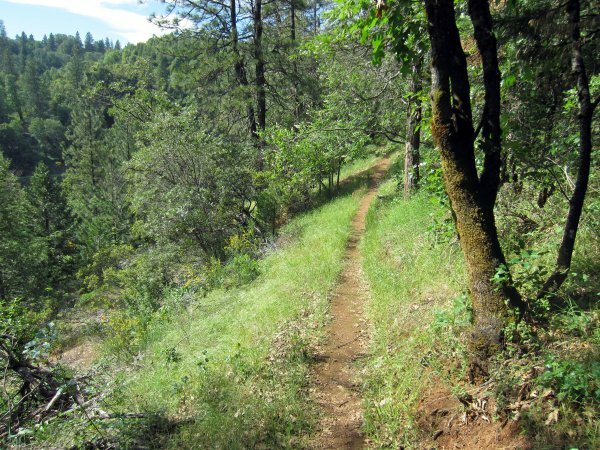 An extended loop: For runners, cyclists or avid walkers a loop through the Seven Hills business district of Nevada City can be combined with the ditch trail to the make a total circuit of 3.6 miles. 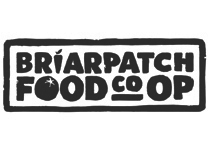 Starting at Broad and Pine streets in Nevada City, follow the walking and bicycling directions above to the Jordan Street trailhead. From the Jordan Street trailhead follow the ditch trail all the way west to the Providence Mine Road trailhead, go up Providence Mine Road to Zion Street and then follow Zion Street north through the business district (there’s a sidewalk) about 0.8 mile to Jordan Street. Go right on Jordan Street for about 200 yards and make the first possible left (this is Cross Street). Go about 40 yards on unpaved Cross Street to find the west end of the short Tribulation Trail. Take the Tribulation Trail out to Pine Street, turn left, cross the Pine Street Bridge and continue uphill to Broad Street.